Lung Cancer Leads List of Malignancies Linked With Bankruptcy : Shots - Health News Lung cancer was associated with the highest risk of personal bankruptcy five years after diagnosis, researchers at Fred Hutchinson Cancer Center found. 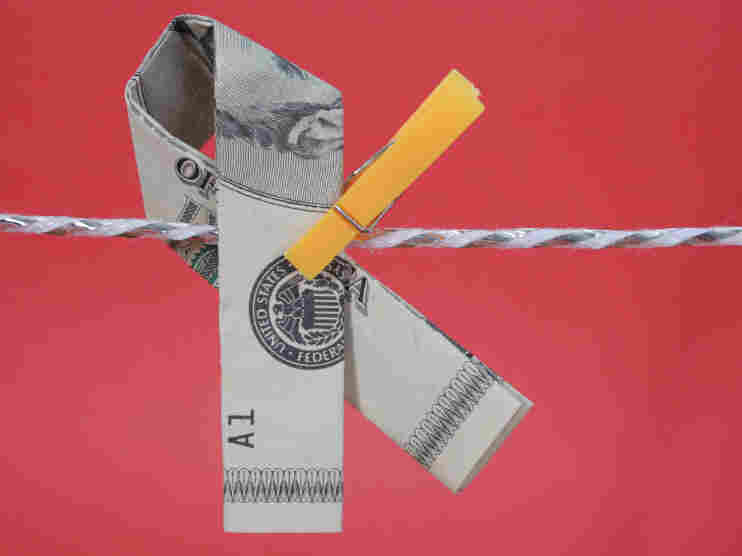 Smokers are more likely to be on a lower rung of the socioeconomic ladder. Cancer often takes a heavy toll not only on people's bodies but on their finances as well. And just as some types of cancer are more deadly than others, some types cause more financial pain, as recent research from Seattle's Fred Hutchinson Cancer Research Center shows. When researchers examined bankruptcy rates in Washington state and compared them with a registry of 232,000 cancer patients there between 1995 and 2009, they found that five years after their diagnosis cancer patients were four times more likely to declare bankruptcy than the general population. Specifically, 1.9 percent of cancer patients declared bankruptcy compared with just 0.28 percent of those without cancer. Although the reasons for the higher bankruptcy rates aren't known with certainty, study lead author Scott Ramsey, a physician and health economist at Hutchinson, has some ideas. In the case of lung and thyroid cancers, it may have to do with the populations that are typically affected, says Ramsey. Lung cancer, for example, is generally diagnosed in smokers who are more likely to be relatively low on the socioeconomic ladder, says Ramsey. Likewise, thyroid cancer is most common in women who are younger than typical cancer patients, and so may have worse or less insurance than older patients. In the case of leukemia/lymphoma and colorectal cancers, extremely high treatment costs may be the culprit in bankruptcy filings, he says, pointing to bone marrow transplants used to treat blood cancers, and the $300,000 or higher price tag to treat advanced colorectal cancer. As for uterine cancer, "We're not quite sure what's going on with that," he says.